On Sunday evening, I spied the above mitten draped on a branch close to one of the bicycle trails traversing through our neighbourhood. The next morning, it was still there and looking lovelier than ever in the bright yet dappled sunlight, as if it were expectantly awaiting the hand to which it belongs. Every time I stumble across one of these lost and found although not-yet-reunited items, it gives me hope for humanity. They brighten my day and remind of how even the simplest random acts of kindness and charity can mean the world to another individual. Having lost things myself at one time or another, I understand the joy and relief that accompanies that moment of realisation when finding something I thought was gone forever. 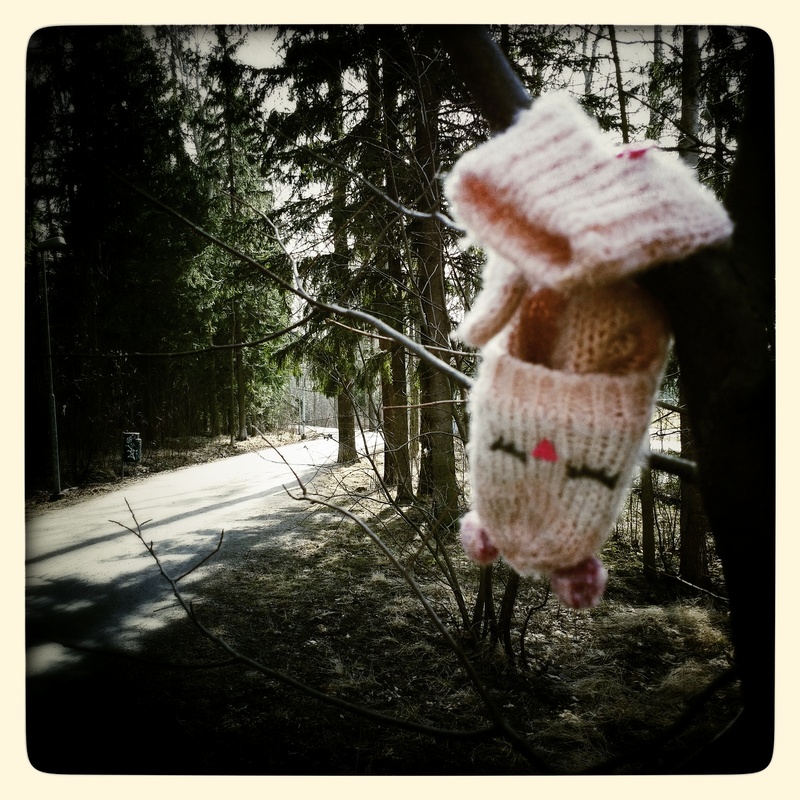 It’d be easy for whoever discovered this mitten to have just left it where it lay. It would have been just as easy to have picked it up and thrown it away. Yet, they didn’t. That someone took the time to pick it up and hang it in a place where it could be easily spotted. So simple. So easy. And, yet, so selfless. And, dare I say, hopeful. Hopeful that its rightful owner would travel that same route again and discover what they had misplaced, dropped and possibly considered long gone. I’d love to hang out near one of these objects sought to witness the instant when it is found once again.